For a nothing less than incredibly stylish look, pair a dark brown overcoat with Givenchy pinstripe wool trousers. For a more relaxed take, rock a pair of white low top sneakers. 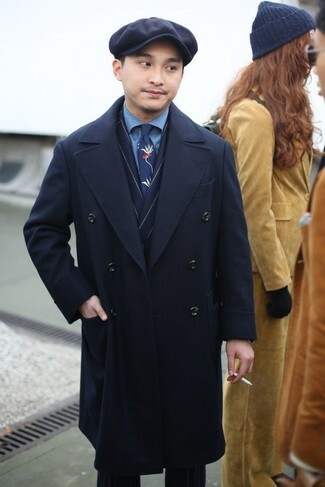 For a nothing less than incredibly stylish ensemble, make a brown duffle coat and navy vertical striped dress pants your outfit choice. Rock a pair of dark brown suede derby shoes to make the getup current. A burgundy overcoat and Givenchy pinstripe wool trousers will showcase your sartorial self. White leather brogues will add a new dimension to an otherwise classic look. For a nothing less than incredibly stylish outfit, choose a charcoal overcoat and Givenchy pinstripe wool trousers. For a nothing less than incredibly stylish getup, consider teaming a grey wool blazer with Givenchy pinstripe wool trousers. Add a glam twist to your outfit with burgundy leather oxford shoes. Such items as a black leather biker jacket and Givenchy pinstripe wool trousers are the perfect way to inject some refinement into your day-to-day rotation. When it comes to shoes, this getup pairs nicely with white leather derby shoes. 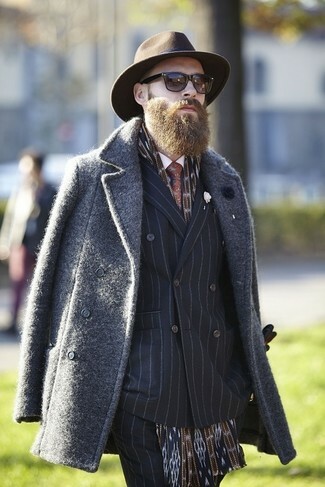 Team a mustard overcoat with Givenchy pinstripe wool trousers from MATCHESFASHION.COM like a true gent. 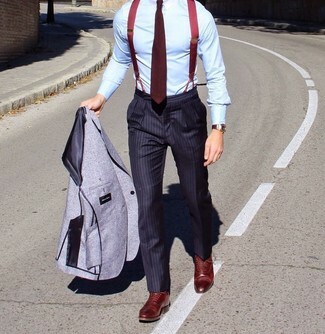 Lift up this ensemble with burgundy leather oxford shoes. 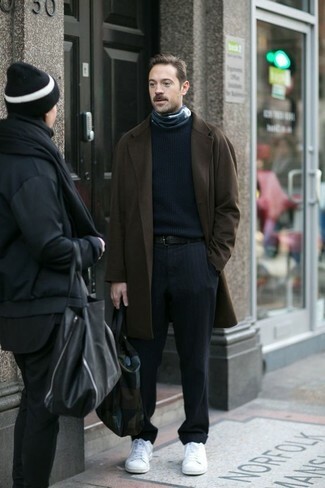 A black overcoat and Givenchy pinstripe wool trousers from MATCHESFASHION.COM is a greatcombo for you to try. So as you can see, getuping seriously stylish doesn't take that much work. Just marry a grey parka with Givenchy pinstripe wool trousers from MATCHESFASHION.COM and you'll look incredibly stylish.